Saudi Crown Prince Mohammed bin Salman at the Future Investment Initiative, the so-called Davos in the Desert, Riyadh, Saudi Arabia, Oct. 23, 2018 (AP photo by Amr Nabil). As international pressure builds on Saudi Arabia over the brutal murder of Saudi journalist Jamal Khashoggi in its consulate in Istanbul early last month, the costs for Riyadh continue to rise. 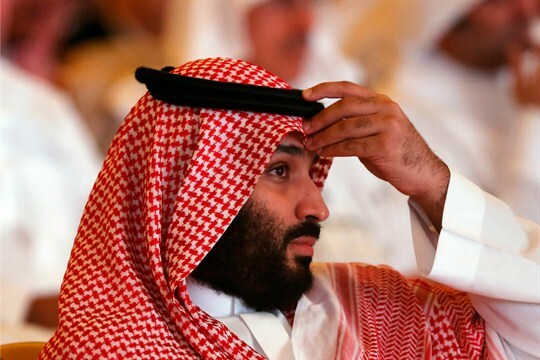 The damage to the country’s image and reputation will haunt its political elite for years, especially now that the CIA has blamed Crown Prince Mohammed bin Salman for having authorized the operation. The backlash was already visible in late October, when many Western political and business leaders at the last minute canceled their trips to Riyadh for the big-ticket Future Investment Initiative, the so-called Davos in the Desert.